Barrupu Yunupingu comes from an esteemed family. Her father is the renowned bark painter Munggurrawuy Yunupingu, whose works from the 1950s are highlights of the Gallery’s collection. Her brothers, Mandawuy (the lead singer of Yothu Yindi) and Galarrwuy (a famed Indigenous leader) have both been Australians of the Year. 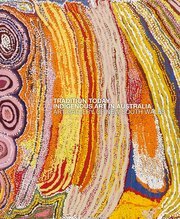 She is also the sister of Nyapanyapa and Gulumbu Yunupingu, exceptional artists in their own right. Barrupu Yunupingu grew up at Yirrkala and trained and worked as a nurse at the Yirrkala clinic from the 1960s until its closure in 1975. When the Yirrkala printspace was commissioned in 1996, she was one of the first women to complete works and have these exhibited in the printmakers’ inaugural exhibition in 1998 at Yirrkala. In 2007 she began painting more consistently on bark, a move echoed by her sister Nyapanyapa, with whom she has always worked closely. Like her sisters, Barrupu Yunupingu draws on the legacy of her father to create unique works that operate within the strict codes of Gumatj miny’tji (sacred clan designs), yet offer a very individual interpretation of this. Yunupingu painted with exceptional vigour and conviction, producing striking paintings of Gurtha, the ancestral fire that swept through a huge swathe of eastern Arnhem Land, from Biranybirany to Melville Bay. This epic fire is documented by Mungurrawuy Yunupuingu in four large paintings in the Gallery’s collection. In these and other Gumatj paintings, Gurtha and its manifestations as flames, smoke, charcoal, ash and dust are rendered in varying patterns of diamond-shaped miny’tji. Barrupu Yunupingu has revolutionised the diamond-shaped miny’tji representing Gurtha, in both scale and execution. Most significantly, however, Yunupingu does not offer the miny’tji as an exquisite backdrop to other figurative or representational forms – like a macro view of the miny’tji of her father, the patterning has become the work itself. This is a new development in the work of Yolngu artists, as there is a relaxation of the convention of covering miny’tji with figurative forms to disguise it and to protect people from its inherent power. Yunupingu’s paintings of Gurtha are bold and energetic, loosely rendered with ribbons of the diamond-shaped fire design stretching across the bark, interspersed with rough fields and bands of cross-hatching, showing the saltwater flow in which the fire burned.